Attorney Cole Bastian has dedicated his practice solely to family law. No matter what you're going through, we're here to guide you through the tough times. Many people would agree that very few things in life are as important as family. It is no wonder then that facing an unresolved family issue can cause a lot of stress. 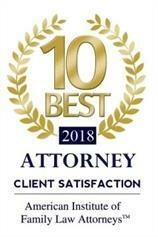 If you are currently dealing with a family law issue, our team at Bastian Law Offices, PLC can help you reach the most favorable solution possible. You don't have to face this alone. We also provide mediation services for couples who wish for a more private and cost-effective alternative to divorce. Because we understand that every matter is different, we create and implement customized strategies tailored to meet the needs of our clients. We realize how emotionally taxing family issues can be. This is why we strive to make the process as easy as possible. How? We establish and maintain a close working relationship with our clients from the very start. This strong partnership promotes a safe and trusting environment where open communication can thrive. Our mission is to help you make smart and informed decisions for you and your family. Have questions? We have answers. 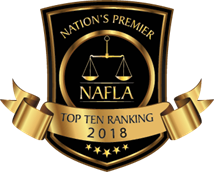 The sooner we hear from you, the sooner a Mesa family attorney can step in and help you get past this stressful experience. We are here to help you get through this, one step at a time. Why Should You Choose Bastian Law Offices? Looking to file for divorce but not sure what happens next? Take a look through our FAQ page for helpful answers. With over a decade of experience, our founding attorney Cole Bastian knows how to help you navigate your family law matter. Our attorney has invaluable insight and legal knowledge to guide you through the notoriously complex legal process.